I don’t mind going happy spendy for beauty products that I’m going to wear often, such as a regular eyeliner or foundation. But when it comes to the fun products that you only wear every so often, I don’t see the point in splashing out. Saving the best for later seems like a sad option – keep the best for every day, you deserve it. 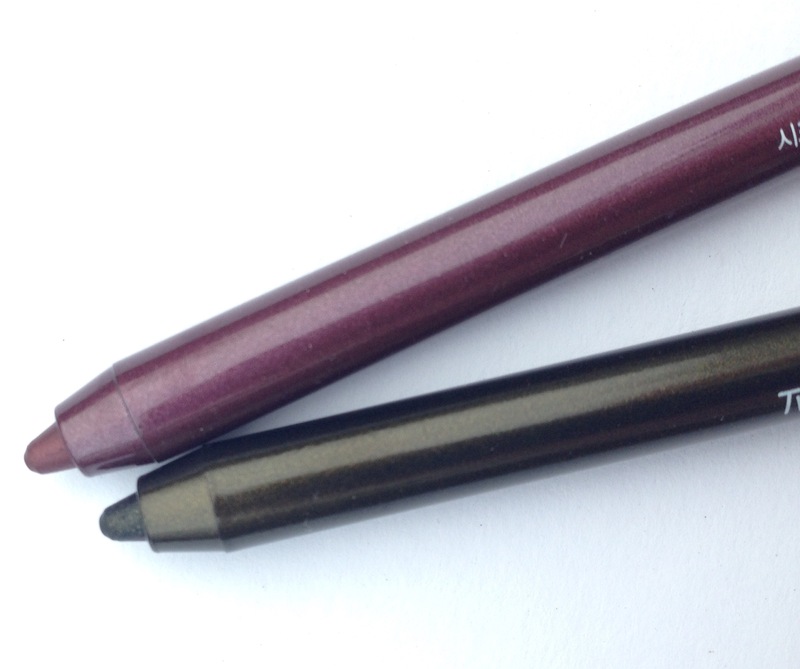 Which brings me to my latest Korean beauty bargain: the Secret Key Twinkle Waterproof Gel Pencil Liner. 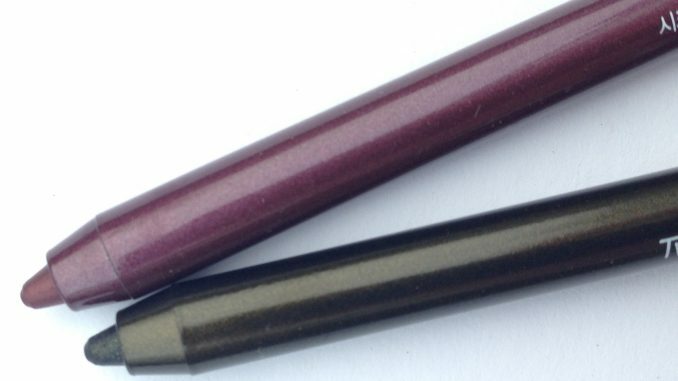 It’s a glittery eyeliner that will set you back around three whole quid. Much more doable than the £15 you’d pay for something similar from Urban Decay. 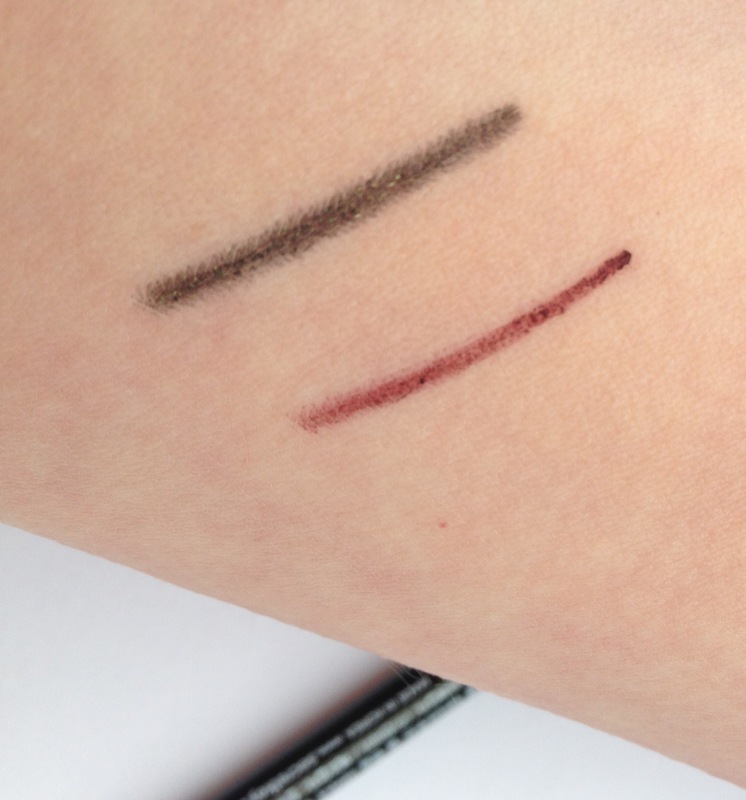 This is a highly pigmented eyeliner that doesn’t budge once it’s set on your eyelid. It contains a glittery, sparkly sheen that twinkles subtly rather than being in-your-face bling. Even better, the glitter particles don’t travel down your face as the night wears on. I’ve even worn it to the gym and it’s stayed put. They’re quite soft in texture so you need to sharpen them regularly, but the softness means that they don’t drag on the eyelid at all. I bought two of the eleven shades available (it also comes in various delicious golds and browns). One of my purchases was rather more successful than the other. The Burgundy is just a bit too red for me to wear without looking like I’ve got an eye infection. I was hoping for something a bit darker and more purply. However, the Golden Khaki, I really love. It’s a very deep, dark green with flecks of gold throughout. A great alternative to black eyeliner if like me you are bored of wearing black eyeliner for basically your whole life. It’s a softer, more flattering shade that would suit a wide variety of skin colours and pretty much any age. At this price I think you can afford to stretch your comfort zone and experiment with a few colours you haven’t tried before. Can you feel a Treat Yo’self moment coming on? 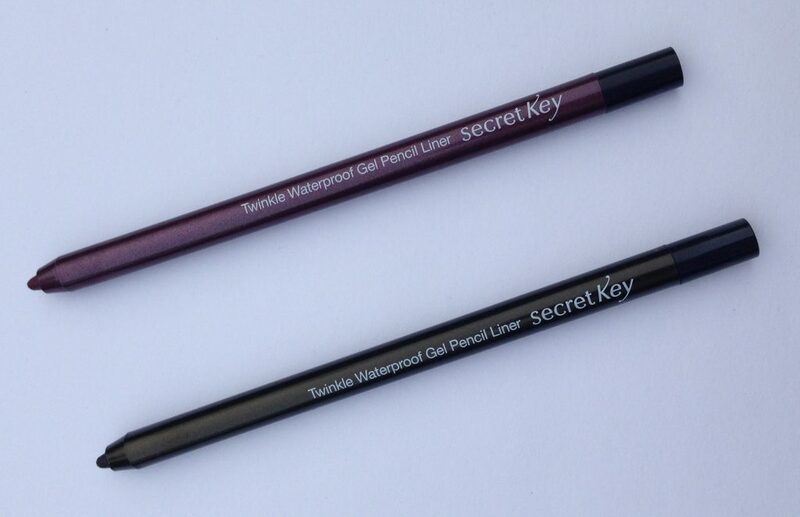 Secret Key Twinkle Waterproof Gel Pencil Liner comes in 11 colours and is currently available for around £4 on eBay.